These highlights do not include all the information needed to use GENVOYA safely and effectively. See full prescribing information for GENVOYA. Prior to or when initiating GENVOYA, and during treatment with GENVOYA on a clinically appropriate schedule, assess serum creatinine, estimated creatinine clearance, urine glucose and urine protein in all patients. In patients with chronic kidney disease, also assess serum phosphorus [see Warnings and Precautions (5.4)]. adults with creatinine clearance below 15 mL per minute who are receiving chronic hemodialysis. On days of hemodialysis, administer GENVOYA after completion of hemodialysis treatment [see Use in Specific Populations (8.6) and Clinical Pharmacology (12.3)]. end stage renal disease (ESRD; estimated creatinine clearance below 15 mL per minute) who are not receiving chronic hemodialysis [see Dosage and Administration (2.2) and Use in Specific Populations (8.6)]. GENVOYA is not recommended for use during pregnancy because of substantially lower exposures of cobicistat and elvitegravir during the second and third trimesters [see Use in Specific Populations (8.1)]. GENVOYA should not be initiated in pregnant individuals. An alternative regimen is recommended for individuals who become pregnant during therapy with GENVOYA [see Use in Specific Populations (8.1)]. Renal impairment, including cases of acute renal failure and Fanconi syndrome (renal tubular injury with severe hypophosphatemia), has been reported with the use of tenofovir prodrugs in both animal toxicology studies and human trials. In clinical trials of GENVOYA, there have been no cases of Fanconi syndrome or Proximal Renal Tubulopathy (PRT). In clinical trials of GENVOYA in treatment-naïve subjects and in virologically suppressed subjects switched to GENVOYA with estimated creatinine clearance greater than 50 mL per minute, renal serious adverse events or discontinuations due to renal adverse reactions were encountered in less than 1% of participants treated with GENVOYA. In a study of virologically suppressed subjects with baseline estimated creatinine clearance between 30 and 69 mL per minute treated with GENVOYA for a median duration of 144 weeks, GENVOYA was permanently discontinued due to worsening renal function in three of 80 (4%) subjects with a baseline estimated creatinine clearance between 30 and 50 mL per minute and two of 162 (1%) with a baseline estimated creatinine clearance greater than or equal to 50 mL per minute [see Adverse Reactions (6.1)]. 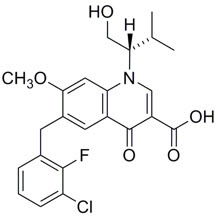 GENVOYA is not recommended in patients with estimated creatinine clearance of 15 to below 30 mL per minute, or in patients with estimated creatinine clearance below 15 mL per minute who are not receiving chronic hemodialysis. Prior to or when initiating GENVOYA, and during treatment with GENVOYA on a clinically appropriate schedule, assess serum creatinine, estimated creatinine clearance, urine glucose and urine protein in all patients. In patients with chronic kidney disease, also assess serum phosphorus. 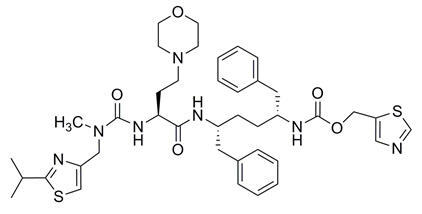 Discontinue GENVOYA in patients who develop clinically significant decreases in renal function or evidence of Fanconi syndrome. t 1/2 values refer to median terminal plasma half-life. Note that the pharmacologically active metabolite, tenofovir diphosphate, has a half-life of 150–180 hours within PBMCs. Dosing in mass balance studies: elvitegravir (single dose administration of [ 14C] elvitegravir coadministered with 100 mg ritonavir); cobicistat (single dose administration of [ 14C] cobicistat after multiple dosing of cobicistat for six days); emtricitabine (single dose administration of [ 14C] emtricitabine after multiple dosing of emtricitabine for ten days); TAF (single dose administration of [ 14C] TAF).